These are all so adorable Sherrie, I love all your owl critters in defferent colors. 40's and 50's!! Where's my winter coat!?!??! LOL!!! Of course, you know where I LIVE ... so you know I am a WIMP!! LOL!!! I loveeeeeeeeeeeee these!! LOVING the colors and those sweet owls!!!!!!!!!!!!!!!!!!!!!!!!!!! 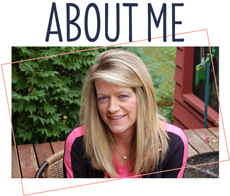 These are so absolutely adorable, Sherrie!! I love those sweet owls!! You showcased them perfectly in all the colors!! The bows are gorgeous!! I love the matching clothes pins on the hearts!! 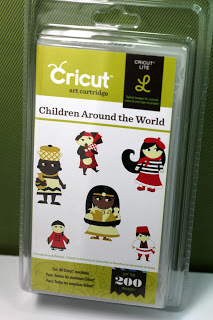 And yay, Cricut!! I have to practically relearn it every time I turn it on ;) I adore these beautiful cards!! Thanks so much for playing along at DL.ART!! These cards are just darling and they will really come in handy when you need a card. You know I have a special place in my heart for owls! Adorable cards. 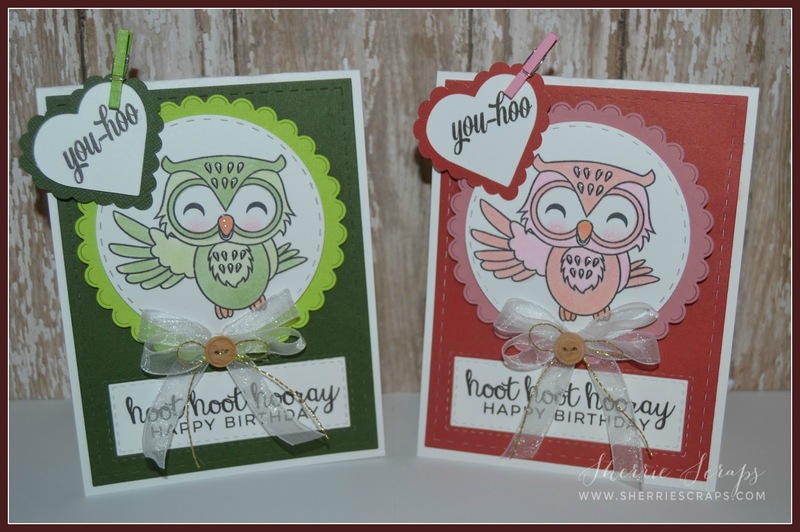 Those owls look so cute with all of the coordinating colors! Those clothespins look so cute holding the hearts in place! You're too funny, "fired up the Cricut" that totally cracked me up! Have a wonderful weekend! these cards are just so cute, and so colorful!! have a great weekend!! Oh Sherrie ~ these are simply ADORABLE!!! LOVE all the details and your coloring is AMAZING!! WHOO HOO ~ so funny how when it gets in the 40's we totally LOVE it right?? Alright have a great weekend and hope you get out a little too! These are just ADORABLE! Love the matching clothes pins holding the hearts! Thanks for playing along at Jaded Blossom! Your cards are so sweet - and I love that you've made them in different colours! I hope you find some time - and mojo - to create this weekend! I'll be back to visit to see what you've made! Oh gosh these are so cute Sherrie!!! I love owls and this stamp set might be something I need to check out LOL .... I truly love these cards! I hope you have a wonderful weekend and are able to get in your craft room and craft away! Oh I love your design and that owl is just too cute! Wonderful birthday cards and great job making a whole pack of them in different colors...good for masculine or feminine!! Thanks for joining us at Seize the Birthday! I love how pretty you showcased the JB owls! !Fun designs and wonderful coloring! these are awesome !!! love this set ! great job !!! thanks so much for joining the Jaded Blossom challenge this month ! I just love owls and these are super cute, gr8t job! What a fab set of cards!! Love all those scalloped dies you've used and that owl is adorable!! Thank you so much for joiing the Craftin Desert Divas "Lots of Layers" Linky!!! These are so cute and fun! Love all the different colors! 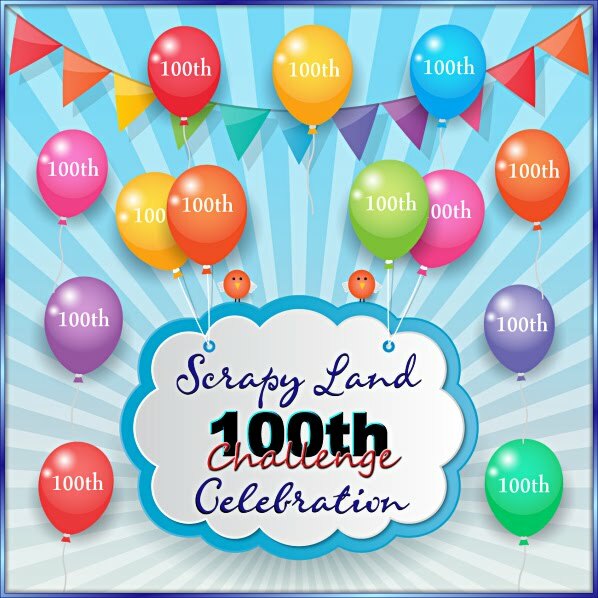 Thanks for joining us at Craftin Desert Divas Linky Party! These cards are all super adorable!!! Love the cute owl image and all the colors!!! Have a great day. That is such a sweet little owl (he looks so happy). I love all the wonderful colors you used to create this amazing set of cards! 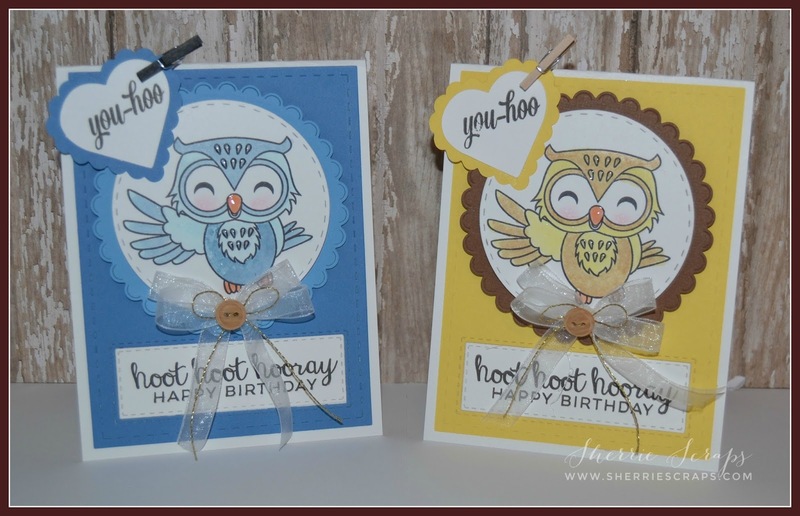 Super cute collection of cards Sherrie! Love all the sweet owls! 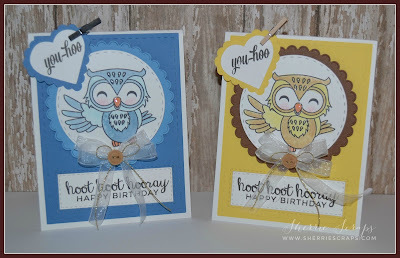 These are really cute Sherrie - love all the different colored owls and cards.... I really have to hop to that store and check what they have.... I've never been their before... Yes, really! LOL! 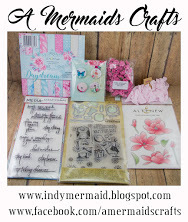 These are so fabulous, great images :) I love all the colors and the ribbon is gorgeous! OMH one cute and fun set of cards. Love the stamps and you colored them beautifully. I love them. Awww! Love that owl stamp! So sweet, Sherrie! They look awesome!!! Thank you for joining us at Jaded Blossom for the March Challenge! What a fun collection of cards. Fabulous little details. Thanks for playing along with Seize the Birthday. Awesome set of cards - so cute!! Thanks for joining us in the Jaded Blossom Challenge!